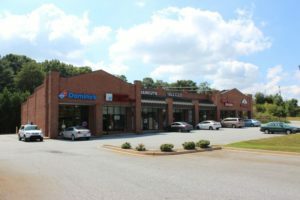 New Finance Company coming to Greer – LANGSTON BLACK REAL ESTATE, INC.
Tim Allender of Langston-Black Real Estate worked diligently with Greer Community Finance, Inc. in acquiring a 3-year lease for their newest location at 217-C West Wade Hampton Blvd. in Greer, SC. This 1200 s/f office space marks their seventeenth location in South Carolina. Paul Lister, also of Langston-Black Real Estate represented the Landlord.